After a good night’s sleep, we set off after breakfast for a visit to the World of Wedgwood in nearby Barlaston. The Wedgwood estate stretches for 240 acres with ample free parking in its grounds. 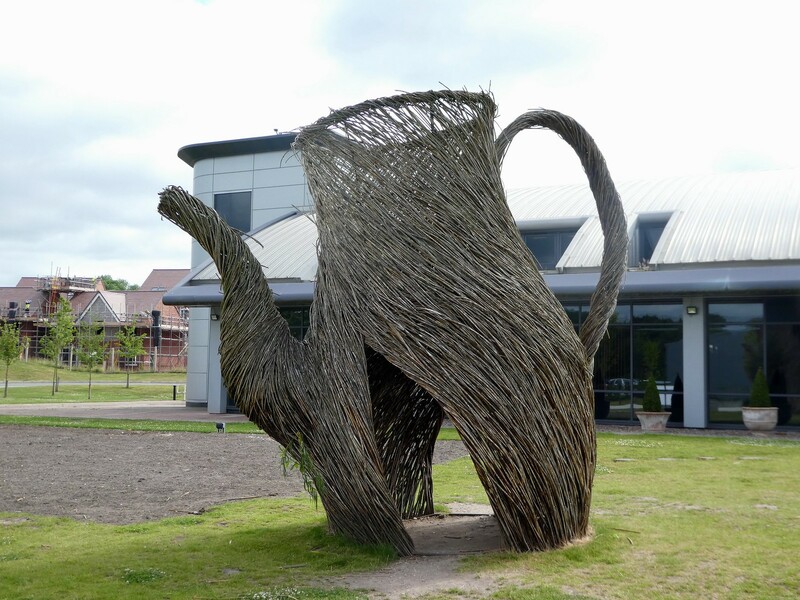 The modern buildings have huge willow sculptures near the entrance in the shape of crockery. 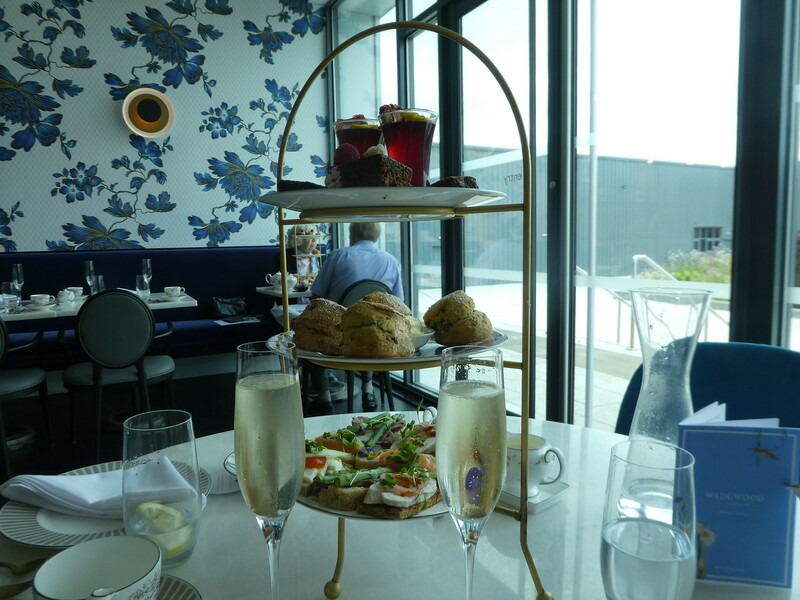 We planned our arrival for 10.00 a.m. just as the visitor centre was opening and loved the train themed lobby adorned with flowers and Wedgwood tableware. 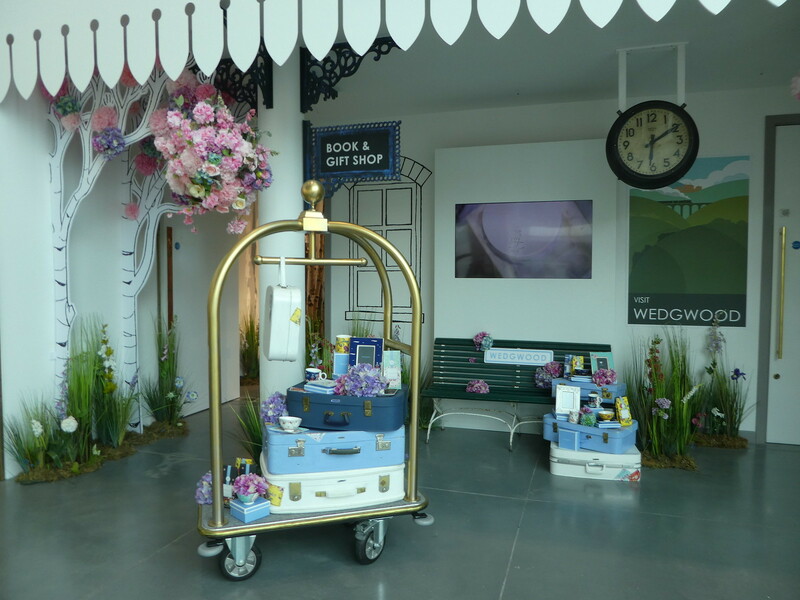 The helpful receptionists welcomed us to Wedgwood and explained where we needed to meet for the factory tour at 10.45 a.m. as well as arranging further activities for later in the day. 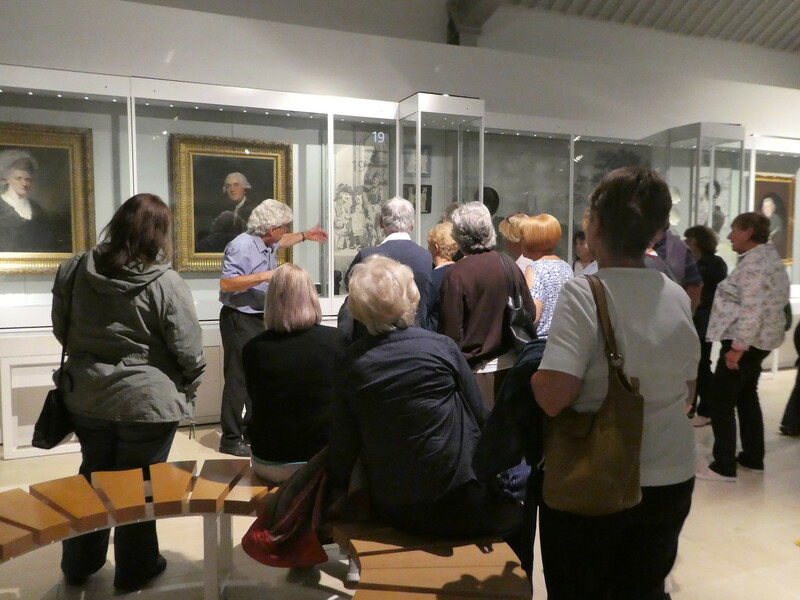 Tours cost £10 per person and are booked on the day on a first come, first served basis Monday to Friday, so at busy times it’s advisable to arrive early. Our tour guide was very informative as he led us around the factory explaining each process from starting with clay to hand painted finished items. We observed most of the techniques looking down from balconies but were able to come down to the factory floor to watch intricate hand painting and gold edging being applied to cups and saucers. 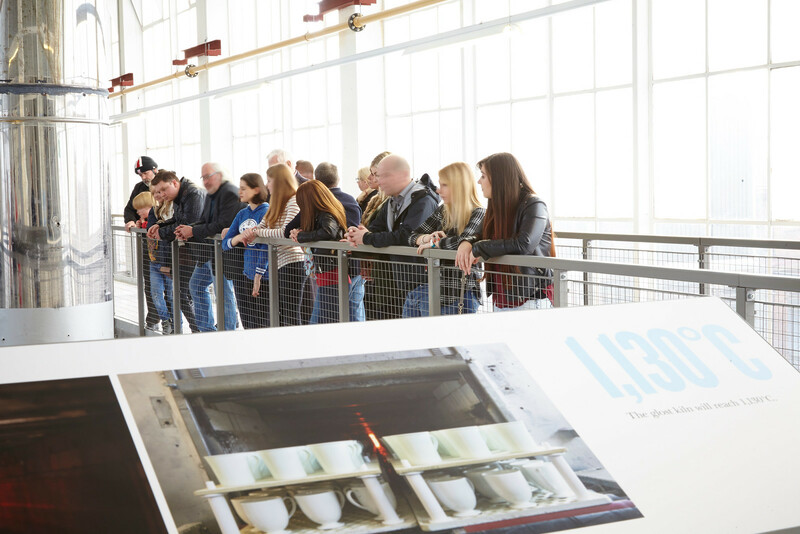 The tour lasted one hour and gave us an insight into the production of high quality ceramics. Following the tour, there was an opportunity for visitors to try their hand at the potters wheel so we decided to roll our sleeves up, pick up an apron and have a go. For those of you who have ever watched The Generation Game, I had visions of it being like that, clay flying off the wheel, a total mess and mis-shaped objects being produced. 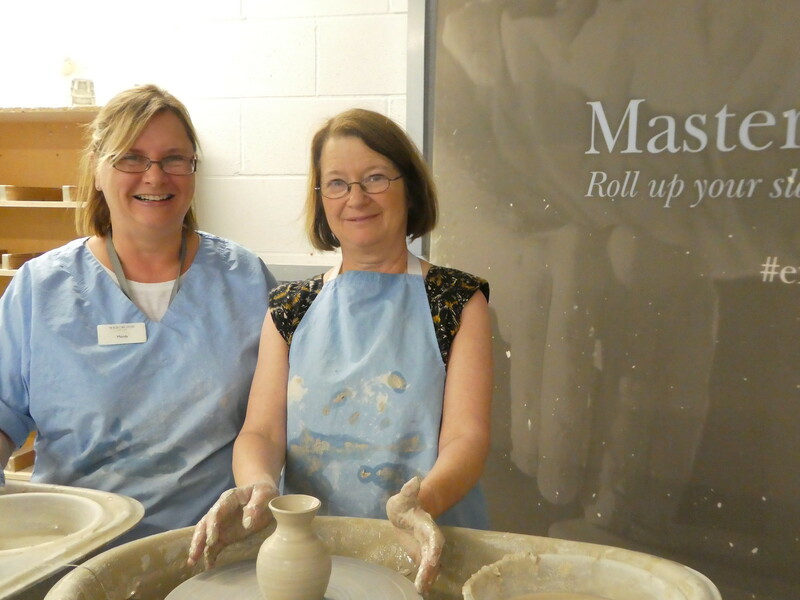 I was paired with Mandy, an experienced potter who guided me through the process. Firstly I had to bang a dome shaped lump of clay down onto the centre of the wheel, wet my hands and then cup the clay firmly as it turned on the wheel. Mandy explained that it was important to keep the clay flexible so that it could be stretched and elongated into shape. It felt very therapeutic holding my hands around the clay trying to remember to keep it wet. As the clay formed into a cylinder, Mandy instructed me to gently press two fingers into the centre to create a hole. The clay then needed to be widened by pulling outwards whilst bringing the sides up. With the help of Mandy, my lump of clay had now been transformed into a smart looking vase. This was labelled and would be fired in the Wedgwood ovens, stamped with the World of Wedgwood logo, dated and posted to my home address as a lasting souvenir of my visit. I would definitely recommend this activity as it was great fun with the friendly potters offering one-to-one tuition and ensuring that everyone produced an object to be proud of. Pot throwing costs £15 including postage but for those visitors who live nearby and can collect the item themselves, the cost is £10 with the activity lasting approximately 20 minutes. We then removed our aprons and cleaned ourselves up, the clay coming off our hands easily with the use of a nail brush. Looking presentable again, we’d worked up an appetite so we made our way to the luxurious Wedgwood tea room to indulge in their afternoon tea. We were seated near the window from where we had views across the estate. Our friendly and efficient waitress brought glasses of Prosecco to set the mood whilst we browsed the menu. I selected Earl Grey tea which was of course served in the finest Wedgwood bone china. 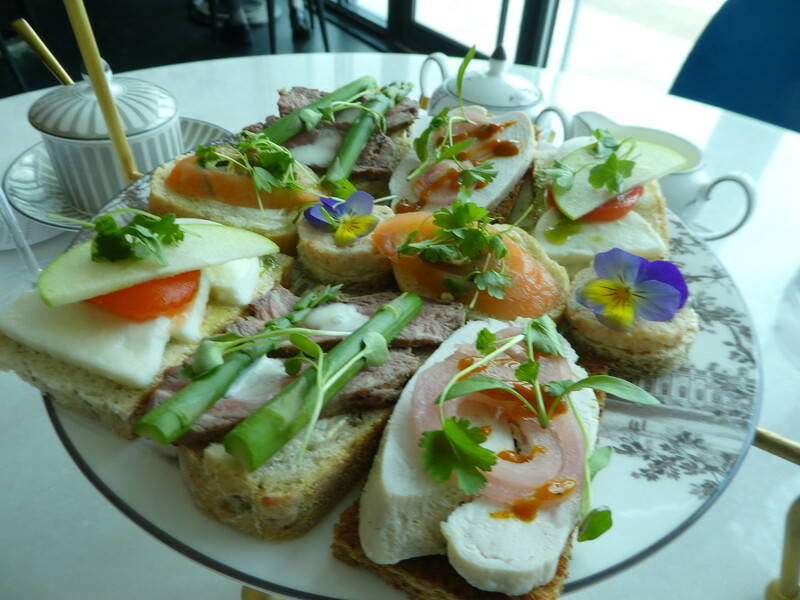 The afternoon tea then arrived on a traditional three tier cake stand comprising a delicious assortment of open sandwiches, scones with jam and clotted cream, fruit jellies, meringues and cakes. 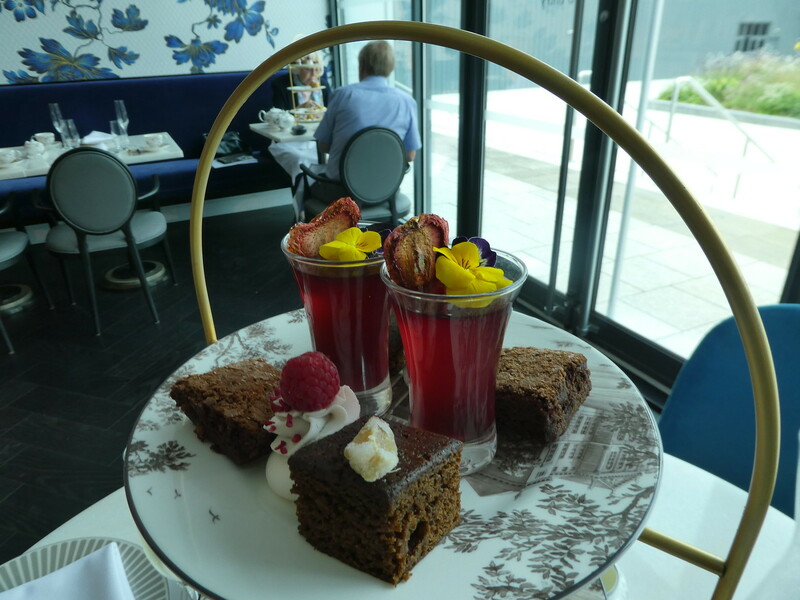 Taking afternoon tea here is sheer decadence and a luxuriously self indulgent experience not to be missed. We couldn’t manage to eat all the cakes so our waitress kindly packaged them in a a box so we could take them away and enjoy them later. 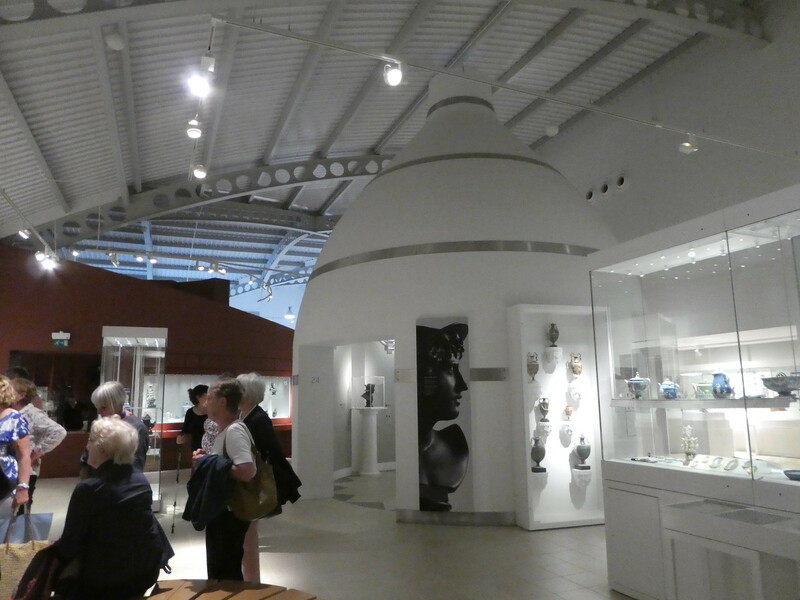 After popping the cakes back in the car we returned to the visitor centre to join our guided tour of the Wedgwood museum. 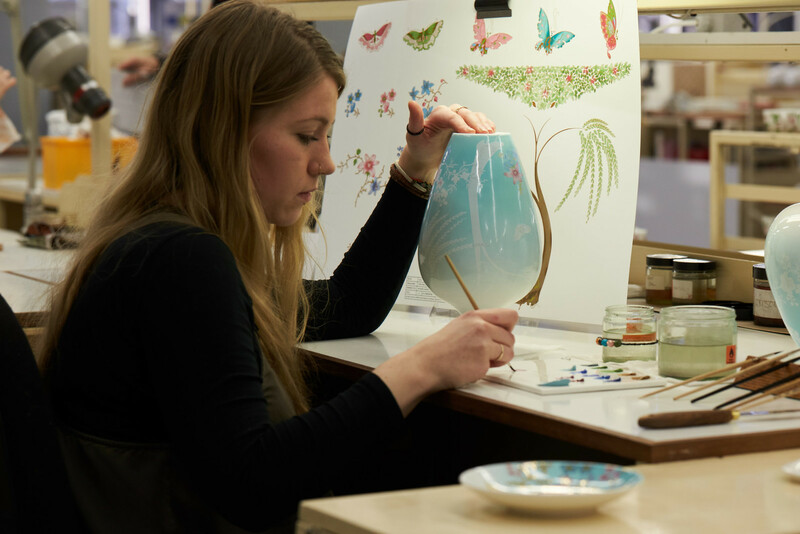 The Wedgwood collection of 80,000 works of art, ceramics, letters and photographs is now owned by the V & A but continues to be on display at the World of Wedgwood. 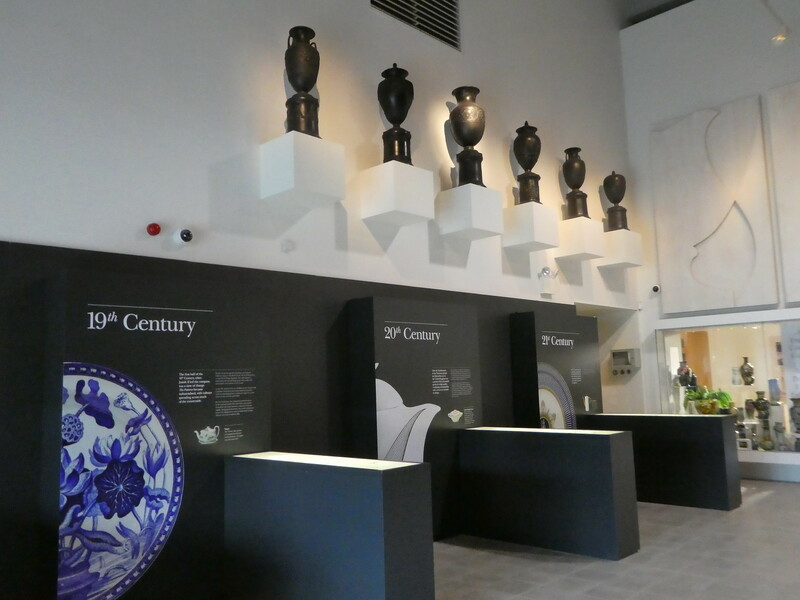 The tour started with a chronological history of the company where we learnt that Wedgwood was founded in 1759 by Josiah Wedgwood. He had previously worked with the established potter Thomas Whieldon until 1759 when relatives leased him the Ivy House in nearby Burslem which enabled him to start his own pottery business. Our guide explained that his marriage to Sarah, a distant cousin also helped him become established in the ceramics industry. In 1766 Wedgwood bought Etruria, a large Staffordshire estate as both his home and factory. The company’s best known product is Jasper ware, created to look like ancient cameo glass with Greek, Egyptian and Roman themes, traditionally in pale blue with white cameos. During the 1930’s Wedgwood’s success continued and in order to increase efficiency the 5th Josiah Wedgwood decided to build a new factory near the village of Barlaston where our visit was taking place. 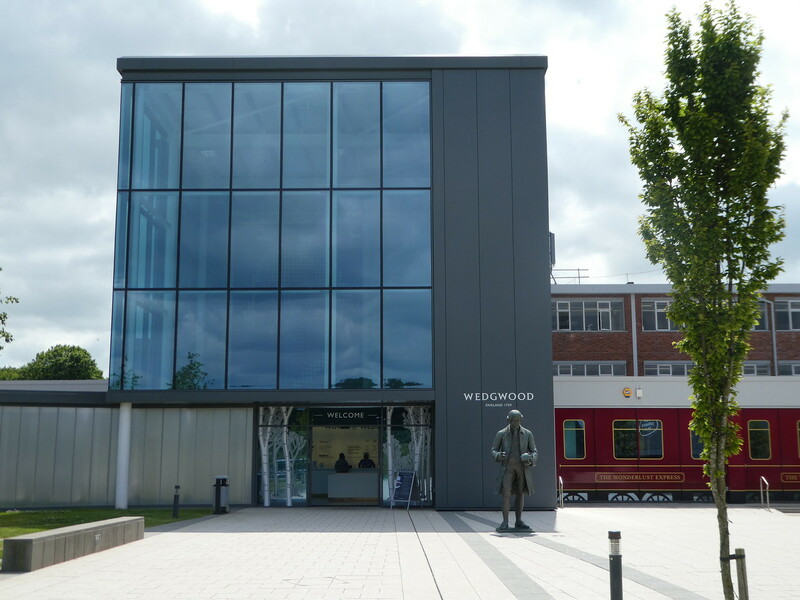 Wedgwood was a philanthropic entrepreneur who took responsibility for constructing both a modern factory, worker’s housing and sporting facilities ensuring he had a devoted and healthy workforce. The museum contains many exquisite items, hand painted figurines and examples of the iconic blue and white Jasper ware and although visitors can just wander around the museum themselves, by taking a 45 minute guided tour we undoubtedly learnt much more. 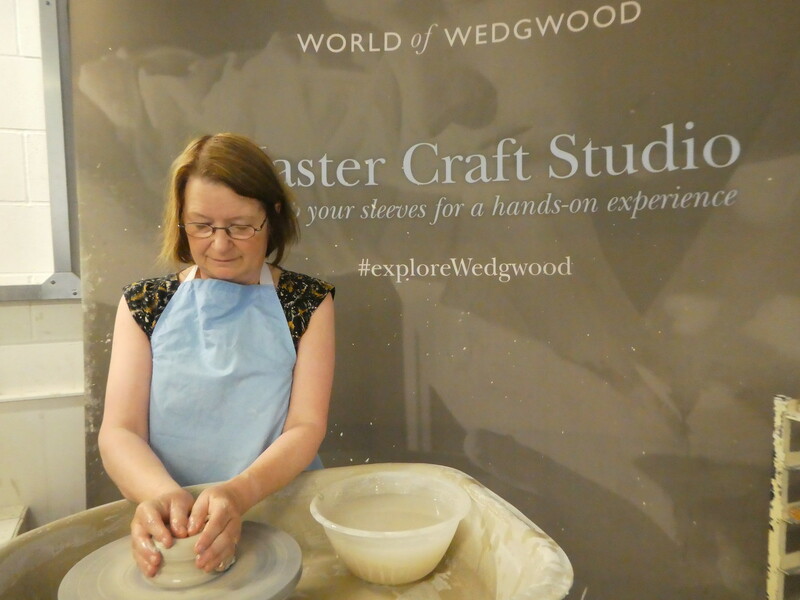 Before leaving the site, we visited the Wedgwood flagship store and factory outlet shop which were both doing a brisk trade. Next to these stores is the Dining Hall which has an outdoor terrace providing an alternative to dining in the tea room. I didn’t quite know what to expect before we arrived, but we left having enjoyed a splendid 5 hours and would recommend a visit as there is something for everyone. 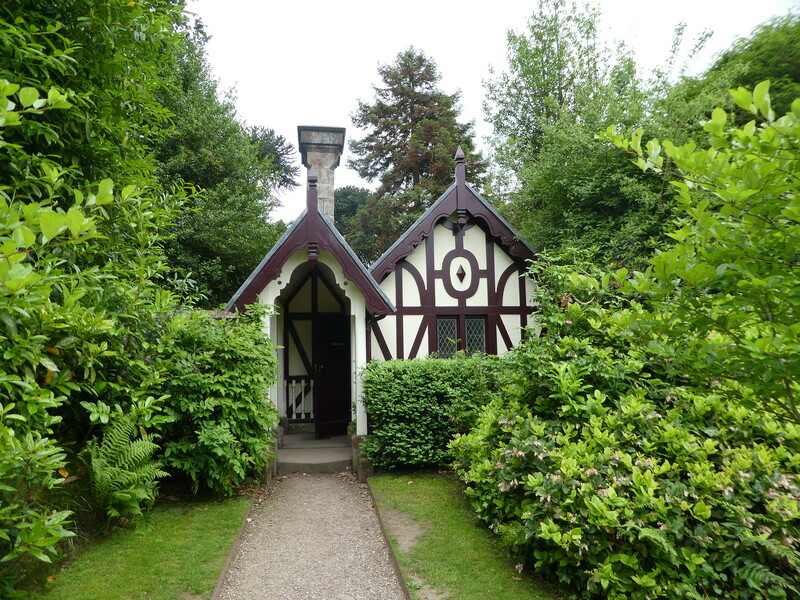 Feeling like a little exercise, we returned to the car and headed to Biddulph Grange Garden thirty minutes away. 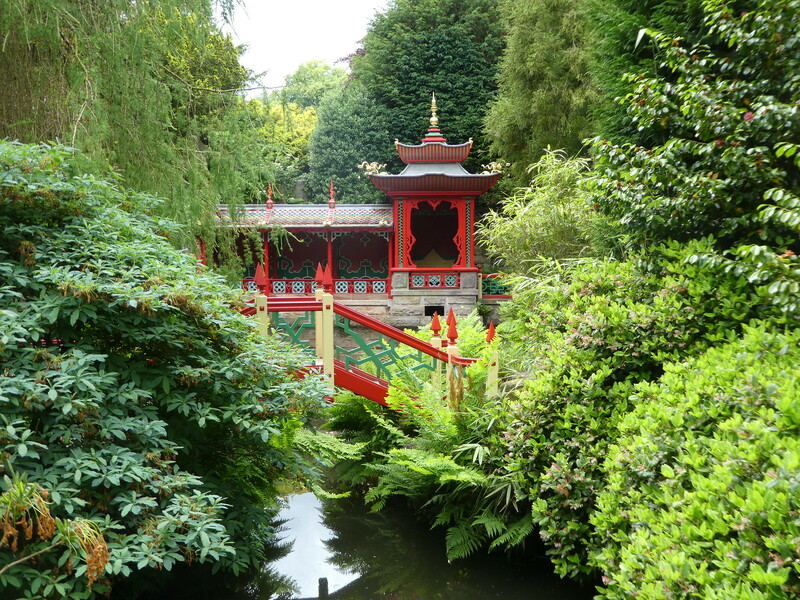 Biddulph lies in a valley on the edge of North Staffordshire and is famed for its Chinese landscape, Egyptian court and Italianate garden. The house is privately owned but the National Trust gardens are open to the public. The garden was the vision of James Bateman who from 1841 spent more than 20 years collecting plants from all over the world. He didn’t often travel himself but instead employed plant hunters to send specimens back to him by sea. 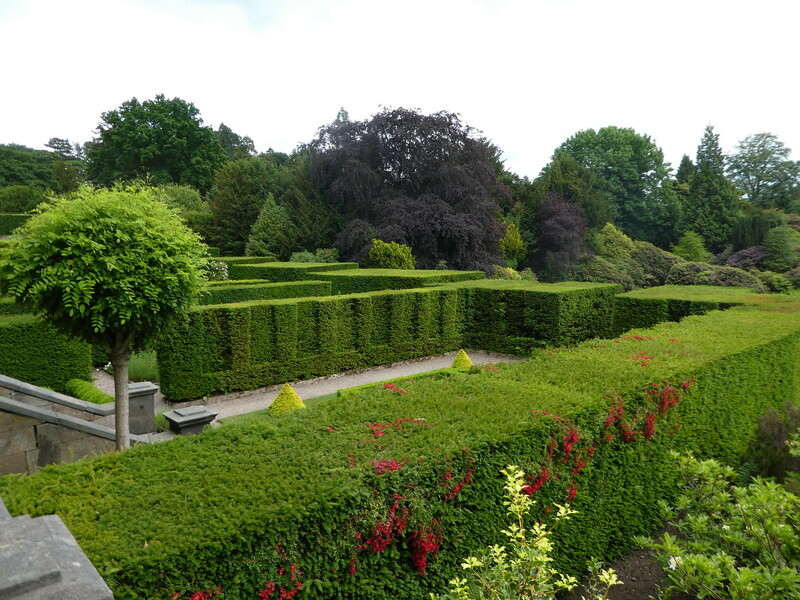 We began exploring from the terrace of the Italianate villa from where we had beautiful views over the formal Italianate garden and across the lily pond. Narrow paths, steps and short tunnels lead from one area to another resulting in an intriguing journey of discovery. It took us awhile to locate the small Chinese temple which is absolutely beautiful and designed to reflect a willow pattern. Crossing an ornate bridge, we reached the temple sitting for a few moments in one of its alcoves. It was the perfect spot to relax whilst overlooking the magnificent Chinese garden. 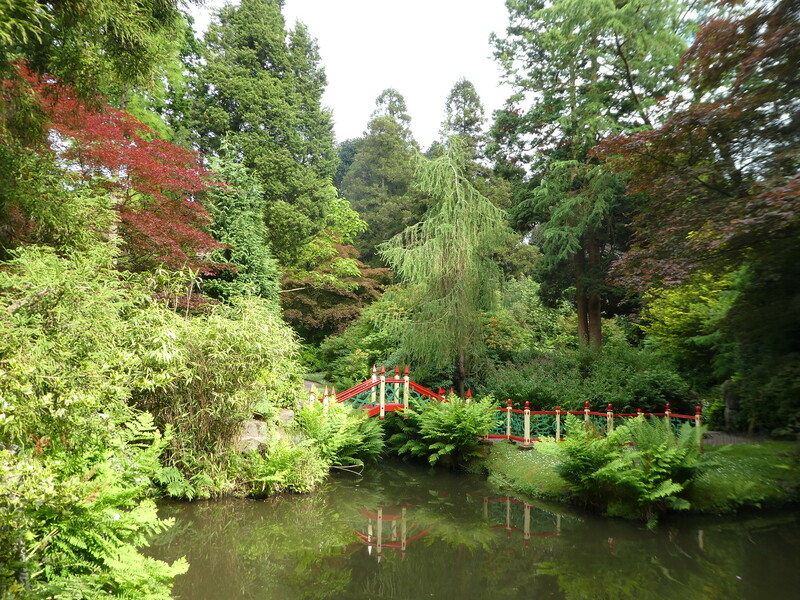 Visiting the garden in June, the rhododendrons had all but finished and the renowned Dahlia Walk was not yet in bloom but there was still much to enjoy from the vivid shades of green to the pale pink and white hues of the water lilies. We left the gardens just before closing time and returned to our hotel for a little rest before having dinner in the attractive small market town of Stone. Lovely story and excellent photos once again. Thank you Chris for your much appreciated thoughts! What a wonderful way to learn and experience pottery. Thank you for photos and very informative text. Thank you for your kind words. We had a splendid time learning about pottery making and visiting the factory. Yes, so did mine and I still have some of her china! 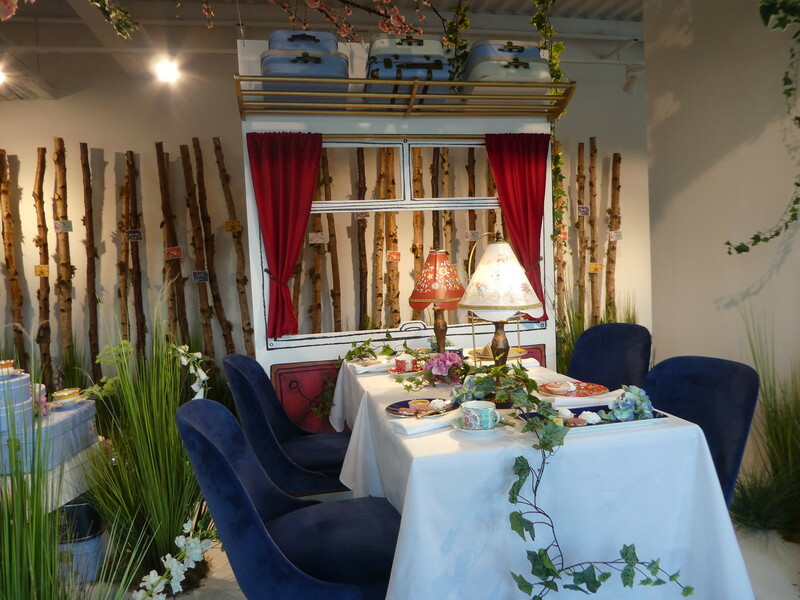 Marion this is my idea of a fabulous day out; love Wedgewood – I had a beautiful dinner set given to me by my family for my weeding in 1989 (still have it and still love it). How lovely Sue that you have a Wedgwood dinner service. It was such a fabulous day out and although Stoke is less than three hours drive from home, I hadn’t been before. I enjoyed having a go on the potter’s wheel and my vase arrived in the post a few days ago. What an interesting, multi-faceted, tour! Thank you, t was a fun day out! You are right, I had a marvellous time but can’t take all the credit for my masterpiece! So nice to hear from you again. Thank you for your kind words Ingrid, it’s so nice to have the recognition and I’ll certainly take a look. Well done with your pot – looks very professional! Thanks Linda, I was very impressed with it too. Wonderful stuff! And so many excellent photos! Thanks Mitch for your kind words. I’m pleased you enjoyed reading this post. You are going to be one VERY little Traveller by the time you’re finished…Thank you for the fascinating tour of the factory and surrounds, etc., I’m an artistic soul, so would be fascinated to see the various pieces being made, the collection, etc., And the tea and sandwiches, cakes etc looked really yummy! Do hope your next trip will be as interesting. Thanks Joy for your welcome thoughts. 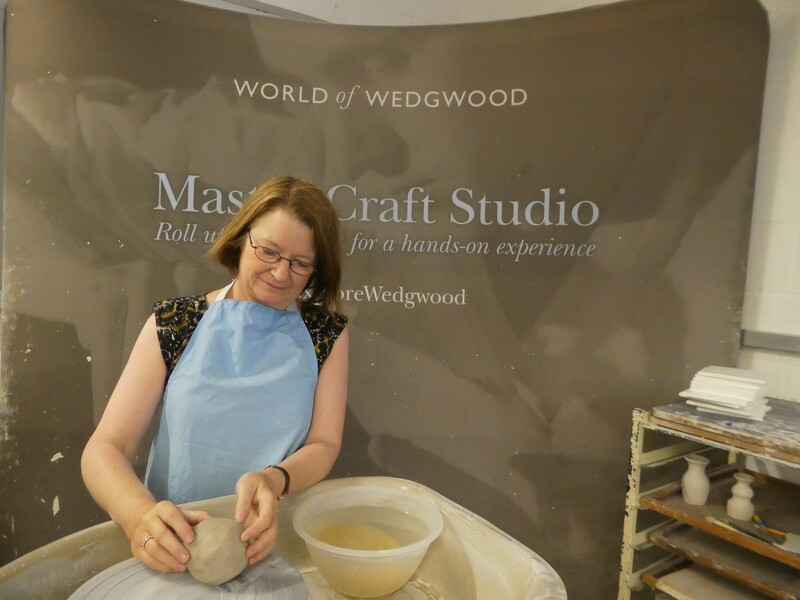 It was a really fun day out with so much to see and do at Wedgwood and I wouldn’t mind having another go at pottery making sometime, messy but fun! This looks like a lot of fun and the prices seem very reasonable. The nearby garden also looks beautiful. Thank you, we had such a fun day out and the tour and pottery making were reasonably priced. What an interesting day! I’ve always had a fondness for Wedgwood but my favorite pics would have to be the cakes and gardens. Thank you so much for sharing. Thanks Sue for your kind words. Visiting Wedgwood was so nice and the afternoon tea and visit to the gardens rounded off our day so well! Thank you for your ever welcome thoughts. Yes, it’s good to see Wedgwood still producing pottery. I think we have all got some fine china dinner and tea sets tucked away on upper shelves of our cupboards! What a fabulous day! Your descriptions, as always, are superb. Thank you so much for your kind words, it’s so nice to read you are enjoying my posts. Lovely photos! This has given me an idea for a day out with my mum, it looks like great fun! Thank you for your kind words. I hope you get an opportunity to visit Wedgwood soon. Thank you for a very interesting account. 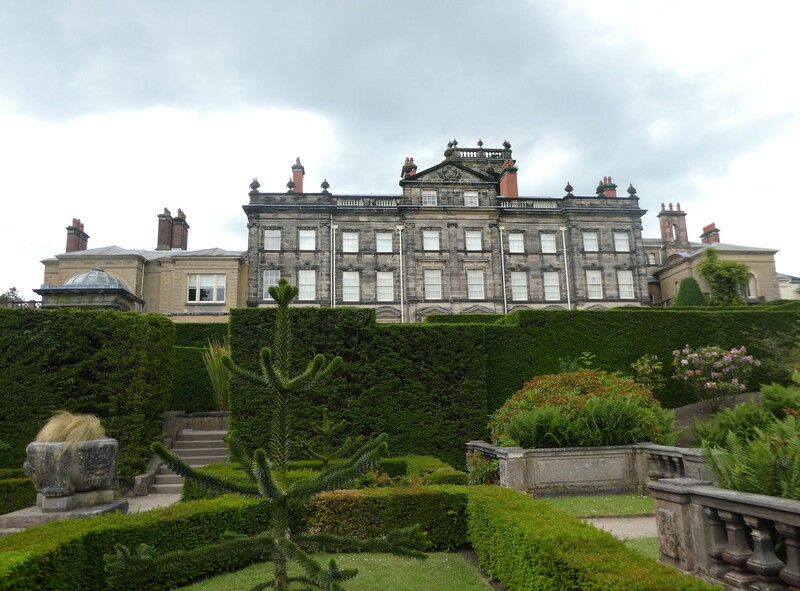 I’ve been to Biddulph Grange many years ago. It was lovely to see the pictures again. I’m so pleased my post brought back some happy memories for you. Thank you for your nice comments. Do they still make Willow Pattern there? I remember hearing the ‘legend’ behind the pattern at school … it was only later in life I discovered the pattern and the legend is about as Chinese as I am! I don’t think that Willow Pattern is made there any longer but we saw lots of other beautiful china being produced. I think it’s thought of as rather old-fashioned these days, and I don’t imagine there’d be much call for it. But, I do remember a set going for quite a considerable sum on a TV antiques show. Your vase looked pretty good! I am impressed. Not the Generation Game at all! Thank you! It was great fun working with the clay.